I don't play poker so I have no idea what this title really means. But I thought it was clever! I've been working on this Queen of Hearts since February and I finally finished it! and squares on the back. After a VERY frustrating few days of machine quilting with my non-quilting machine Bernina, I finally finished, bound it and put it on my etsy! I love the look of it, but it does not go with anything in my house. 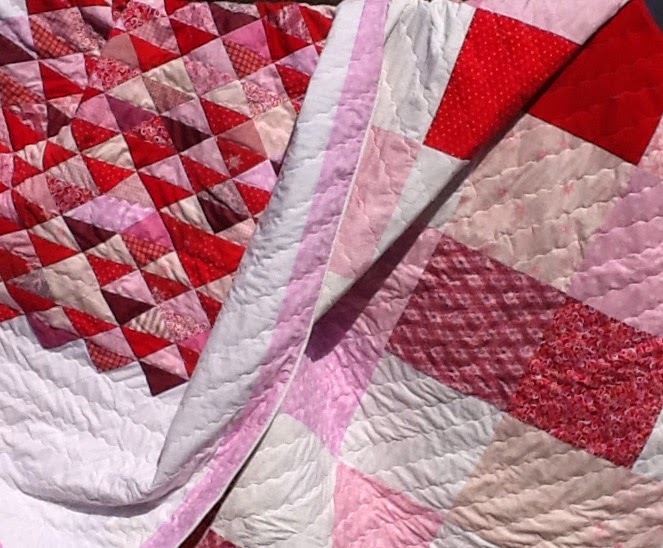 I also never use quilts, though I give them away all the time and sell them on my etsy. 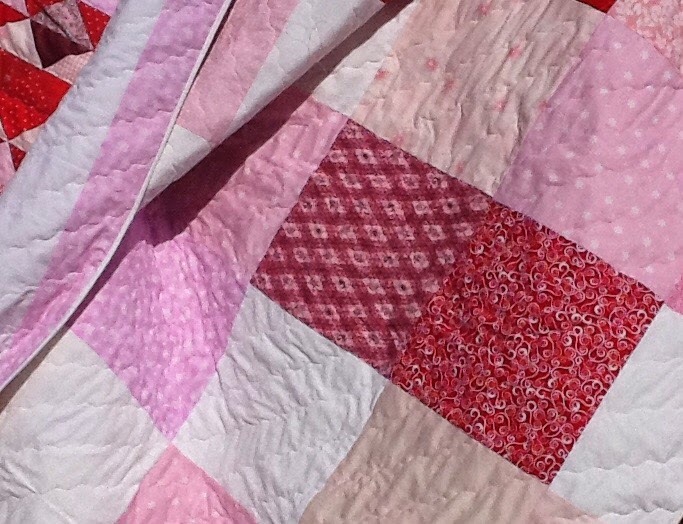 I prefer a duvet with a cover that I can wash, so quilts are not my thing. If I had a guest room, that's where I'd put this, but alas, I don't. Which means we never have guests! Sly, I know! 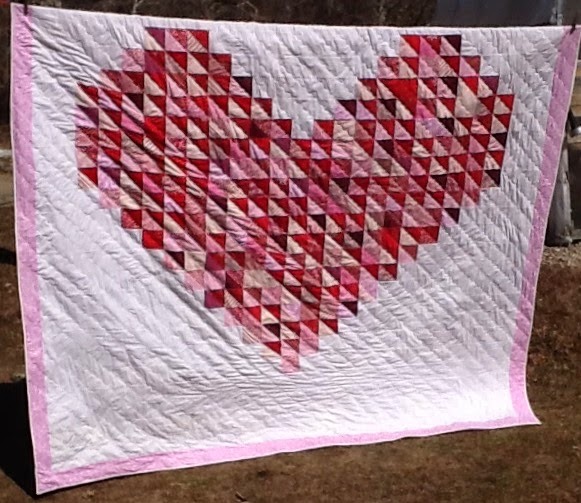 I loved playing with the half square triangles and I was utterly shocked when I ended up with a queen sized quilt! My original plan was for a wall hanging that I would put up every February. I'd need a whole wall to display this and I don't have that, either! 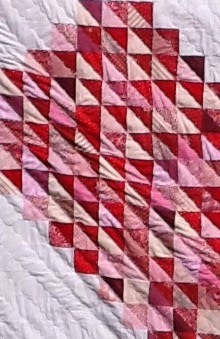 I think I will eventually make another one, with much smaller squares, that actually will be a wall hanging. But, since I used almost every pink, white and red that was in my stash, I'll have to wait a while before attempting this again! Great finish!! You should be proud.